If you want to sort any ArrayList in java, you need to make sure, your objects in the arrylist are comparable. This is done by using implements Comparable and implementing the abstract method compareTo (T cmp). For example if you want to sort some highscores you can do it like this. This is a simple, but powerfull solution to sort an ArrayList. The following code is a standalone http server made with esp8266 and nodemcu written in lua. You can connect connect your smarthone with the esp8266 direct without any router or other network infrasructure. Just load the following code as init.lua on you eso8266 flash ram and reset. The following circuit shows the min. configuration for your esp8266 to get the best stability. 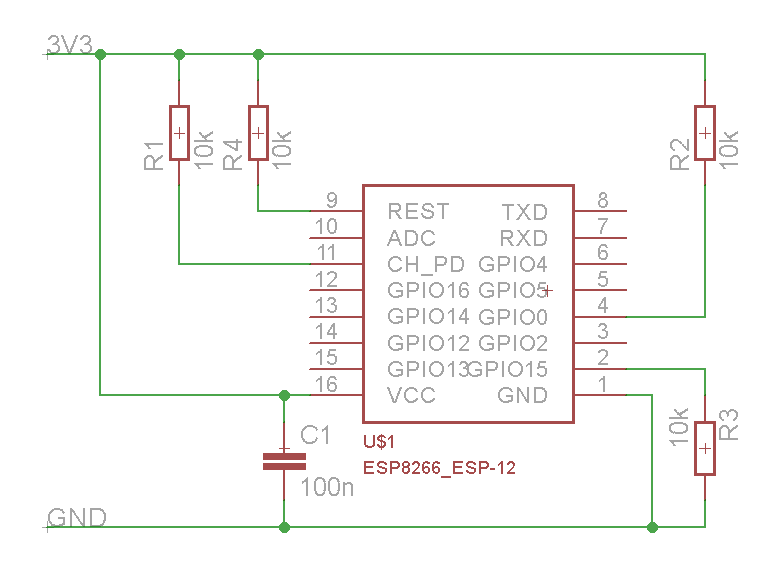 If you ues a board with GPIO16 (Not ESP-01) you can connect the GPIO16 with REST to use the dsleep function. Otherwise your esp8266 will not wake up after execution of dsleep. Yes, it is possible to disable the text selection with a simple line of CSS. The user-select property is a new CSS3 property. Using user-select enables web and app developers to control the ability to select text. Most browsers (With CSS3 support), can do this by using variations on the CSS3 user-select property. The user-select property controls the actual Selection operation (Text and Images). This won’t have effect on the visible content, except in textboxes. The content of the element and all sub-elements will not be able to be selected. For IE < 10 and Opera, you will need to use the unselectable attribute of the element you wish to be unselectable. You can set this using an attribute in HTML. But this property isn't inherited to child elements, meaning you have to put the unselectable attribute in the start tag of every element inside the tag. Text selection is disabled here. Disable text selection with CSS is non-standard and is not on a standards track. Avoid using it on production sites facing the Web. It will not work for every user.